Hello viewers, Lina’s Craft Club is here. Again Welcome to our site. Today I discussing a very interesting DIY Craft. How to make a beautiful wall hanging paper flower Holder. So, you understand about our topics today. Great!! This video help you to make a beautiful flower holder in your home by your own hand without spending more money and time. Wall hanging paper flower holder. You can make it from the waste for your paper. Make it inteligent. Wall decoration is now a most popular item in the world. You can decorate your wall room, Office decoration, hall room decoration, Reading room decoration or whatever you want. You can increase the beauty of you Home. Its perfect for everywhere if you decorate it welly. 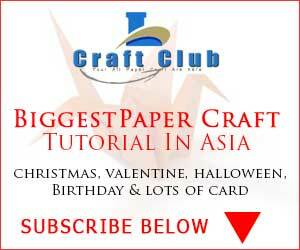 To see our video its help you to how make a wall hanging paper flower Holder. We sometimes call it Flower vase. Yes Its also a vase. How do I make this beautiful hanging paper flower Holder. Watch our video how to make paper flower holder below. Subscribe our channel Click Here. we are new channel and just growing. Please help us to reached more people share the button below the post.